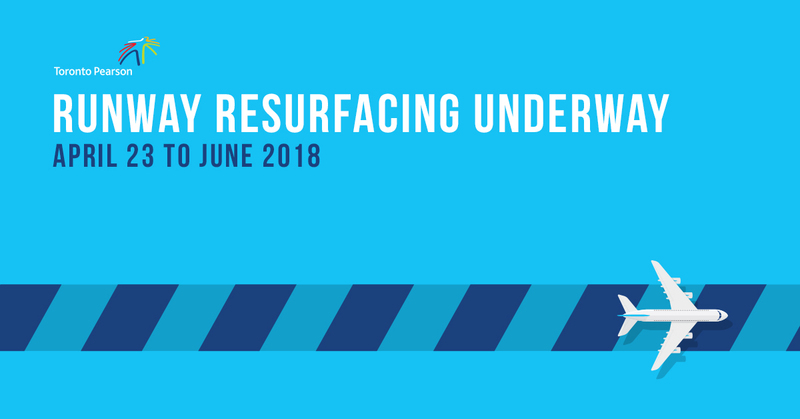 The resurfacing work on Toronto Pearson’s runway 06L/24R began in April 2018 and is expected to be completed in June 2018. This project consists of electrical work as well as the milling and resurfacing of the runway in order to keep the surface in top condition. In comparison to the rehabilitation of Runway 05/23 in Spring 2017, this work does not require a closure of the runway during peak hours. We have scheduled the work during the off-peak hours (22:00 – 06:00) when flight traffic is low. Please note: There is a strong likelihood that we will be required to use the north/south runways between 10 p.m. and 12 a.m. for certain segments of this project.